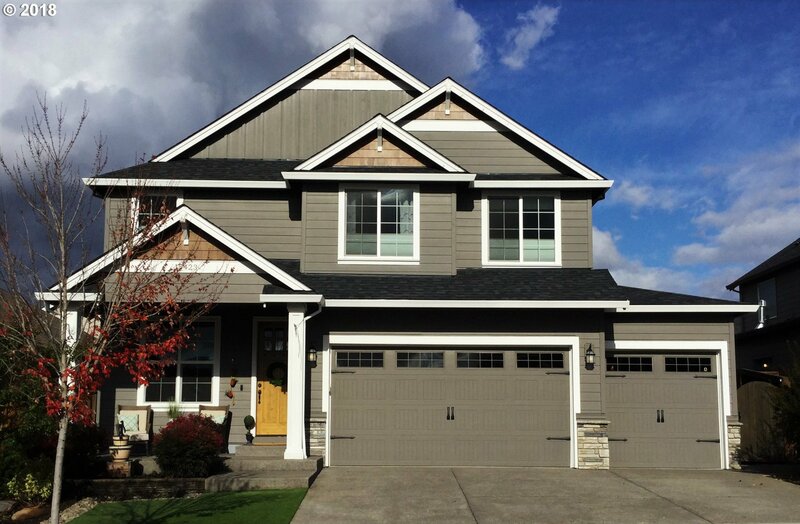 Built by award winning local builder, with additional upgrades and designer details inside and out. Hardwoods and wainscoting throught the main level of an open concept floorplan. Be certain to see the entire list of ammentites which includes speaker system in main entertaining areas inside and out, high-end stainless appliances, low maintenace yard with turf, irrigated beds, hot tub hook-up, fuel firepit, and outdoor kitchen area. Listing courtesy of Handris Realty Co.. Selling Office: Premiere Property Group, LLC.